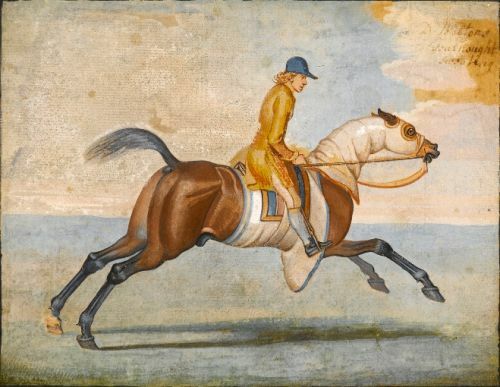 Seymour was one of the best known horse painters, alongside John Wootton, of the mid eighteenth century. Born in London, the son of a banker, he reportedly lived so extravagantly at Newmarket that his wealthy father died bankrupt in 1739. He worked in Newmarket and produced confident pencil drawings on the spot which he used for large scale paintings. He painted most of the best known horses of the period with examples of his work being in the Royal Collection, British Museum, Yale Center for British Art, the Tate Gallery and elsewhere. For more on the artist, see the exhibition catalogue by William Drummond, `The Ingenious Mr Seymour?, 1978. Fearnought was born circa 1725, bred by Sir William Ramsden of Byram, Yorkshire, from whom he was purchased by the Duke of Bolton. He was said to be the best horse of his time at Newmarket and raced from 1730 to 1733 over four miles. 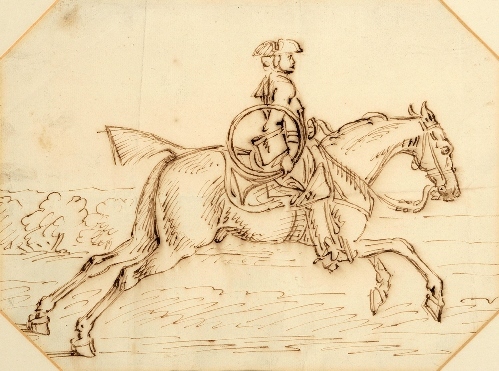 Seymour was one of the best known horse painters, alongside John Wootton, of the mid eighteenth century. Born in London, the son of a banker, he reportedly lived so extravagantly at Newmarket that his wealthy father died bankrupt in 1739. He worked in Newmarket and produced confident pencil drawings on the spot which he used for large scale paintings. He painted most of the best known horses of the period with examples of his work being in the Royal Collection, British Museum, Yale Center for British Art, the Tate Gallery and elsewhere. 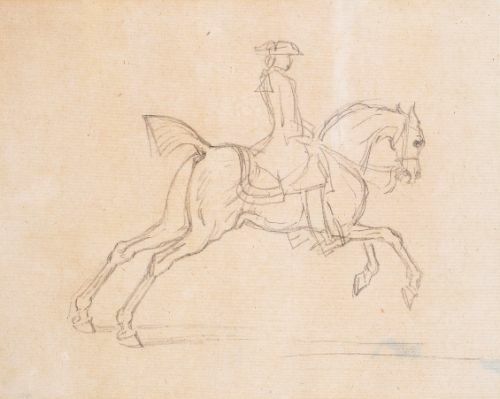 For a drawing of a horse in a similar pose, see the exhibition catalogue by William Drummond, `The Ingenious Mr Seymour’, 1978, no. 38, ill. pl.6. 174 x 232 mm., 6 ¾ x 9 in. 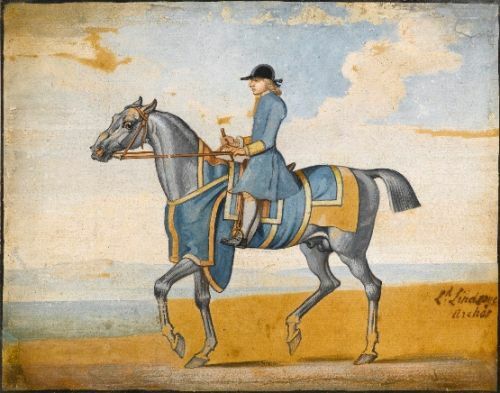 Seymour was one of the best known horse painters, alongside John Wootton, of the mid eighteenth century. Born in London, the son of a banker, he reportedly lived so extravagantly at Newmarket that his wealthy father died bankrupt in 1739. He worked in Newmarket and produced confident pencil and ink drawings on the spot which he used for large scale paintings. He painted most of the best known horses of the period with examples of his work being in the Royal Collection, British Museum, Yale Center for British Art, the Tate Gallery and elsewhere. For more on the artist, see the exhibition catalogue by William Drummond, The Ingenious Mr Seymour, 1978.